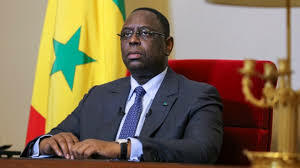 President Macky Sall of Senegal will Tuesday open the national dialogue on the management of oil and gas resources discovered in the country, including the proceeds when income starts flowing into state coffers. The Presidency announced that the dialogue is being convened at the Abdou Diouf International Conference Center of Diamniadio (CICAD), some 30 km outside Dakar. The purpose of the consultation, to which all stakeholders in the Senegalese nation were invited, is to enable an “inclusive management of the proceeds from the exploitation of oil and gas”, an official statement seen by APA said. "Given the prospects of exploitation of oil and gas deposits by 2021-2023, the President of the Republic invites all stakeholders in the nation to the national consultation on the management of revenue from exploitation of oil and gas,” the Presidency announced. It emphasized that the meeting, initiated by the head of state, reflects his desire for transparent and sustainable management of the hydrocarbons sector. “The conclusions of this consultation will be the subject of a draft law on orientation regarding the distribution of the revenues resulting from the exploitation of oil and gas, a bill for which will be submitted to the National Assembly". “During this meeting, the best approach (in our opinion) would be to launch the national dialogue on Tuesday 12 June and then conduct, in the coming period, decentralized consultations in all regions of the country, through commissions that will work according to a set schedule, in order to give these exchanges a popular and inclusive stamp,” CONGAD said, in announcing its decision to respond favourably to President Sall’s invitation. CONGAD said it "believes that the issues relating to the governance bodies of oil and gas resources deserve to be addressed. The composition of these bodies should be diversified on a tripartite basis namely, government, private sector and civil society”.